It’s me again. Look at that: two posts in a row! I’m on a roll! This post is about cookies. It’s fitting, since it’s the Girl Scout Cookie time of year. Nom. Nom. Nom. Butter free too! I just pulled some delicious, delicious cookies out of the oven. And the best part about them: they’re “healthy.” (At least when it comes to cookies.) These cookies have oatmeal and don’t have butter! (They use canola oil instead of butter.) Even more healthy? The batter is so oily and nasty that you don’t even want to touch it, let alone eat it. I was skeptical at first, with the oily batter and all, but these cookies are FANTASTIC!! They’re crunchy, soft and not oily at all. I’d highly recommend making a batch for yourself! Half Baked Hostess, I love you! 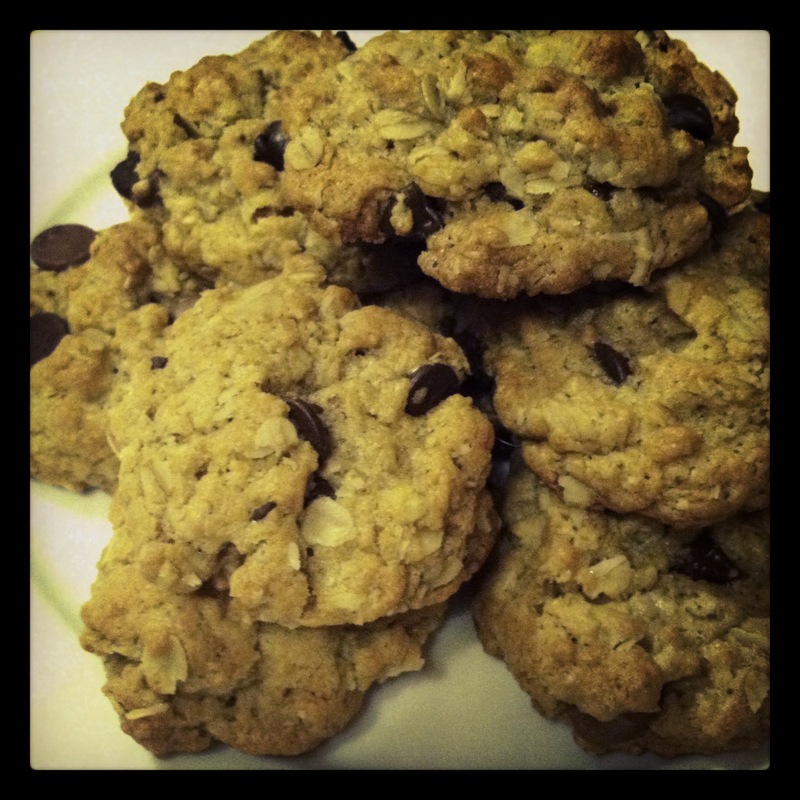 These oatmeal chocolate chip cookies are now on our favorites list! Thank you! I also discovered a recipe for homemade samoas. (Yes, please!) Find it for yourself on the Just a Taste blog. I’ll make them soon and report back. Now, I’ll leave you with the real Sesame Street Cookie Monster in this “Call me maybe” spoof while I got scarf down a few more cookies.